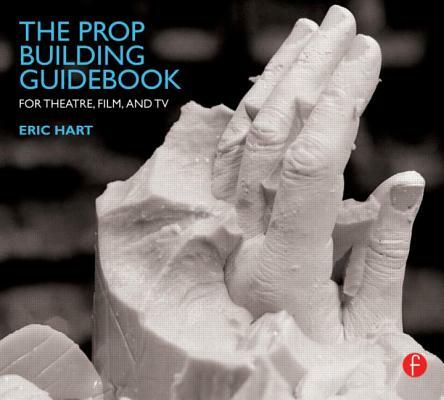 The Prop Building Guidebook: For Theatre, Film, and TV (Spiral) | The Drama Book Shop, Inc.
Theatre and film frequently require replicas of three-dimensional objects built for actors to use. This book lays the groundwork for an artisan to determine what materials and techniques to use to build these props. Walking the reader through the various tools and techniques used in historical and contemporary prop-making, the author presents a process for deciding the materials and methods to build any prop. With an explanation of how the craft and its products have developed over time, the budding artisan will understand not just how and when to use certain techniques or materials, but also why to use them and what advantages they give. It arms the prop maker with a structured procedure for approaching the construction of any prop. Illustrated with step-by-step examples of how to use each construction method, and explanations of different types of materials, this book gives the beginner prop artisan a strong foundation to approach the construction of props and answers the question, "How should I begin?" The author is hosting an online component to the book along with his successful blog. It will feature additional resources for the prop maker, including books, shops, contact information, and how-to videos. Eric Hart has built props for numerous theatres off-off Broadway, off-Broadway and Broadway, and has worked with some of America's top directors and designers at the Santa Fe Opera, the Actors Theatre of Louisville, and the Public Theater. He has also constructed props for display and exhibition, including the Macy's Herald Square Holiday Windows, Saks Fifth Avenue Holiday Windows, and Lord and Taylor's Holiday displays. His articles about props have been published in Stage Directions Magazine. Eric's blog, covering all aspects of prop making, receives over 10,000 visits each month. Eric belongs to the Society of Properties Artisan Managers.